Racing & presentation was very poor. The fence issue which Steve mentioned was very disappointing, as it was quite obvious it wasn't right yesterday. Jack appeared to be totally disinterested and not quick at all, hopefully improves soon. It is well known that Poole used to lure big name's due to the amount of sponsorship the club attracted. I do recall Adam's was offered more money in 2003 to ride elsewhere, but the deal was better at Poole that year. It's going to rely heavily on riders turning up and upping their game massively, to be honest I'm not convinced. No thanks! That team would be awful. Now that would be a great signing... How reliable he'd be though is another question! Can't see where another number 1 is going to appear from, they are so thin on the ground now. I'd be surprised if sundstrom is back. With respect, he was hardly going to say "get lost". Keep a few irons in the fire & see who comes up with the most appealing offer I assume, it happens all of the time. It's a shame he won't be back for us all the same. So really we have riders for potentially a good reserve and 2nd string line up, but finding a true no.1 these days is like gold dust. Looks like we'll be hoping a few riders will have break through seasons again and take up the mantle. With regards to klindt, I somewhat agree. However, on his average & potentially slotting in at #4 I think we'd be mad not to. At worst, he will maintain his Ave thereabouts & still be formidable. Woryna and jakobsen have plenty of room for improvement and most importantly, WANT to ride. Not the end of the world if Morris stays at Swindon to be honest. Hoping we do the right thing and grant Harris another season with us. I can't see matt walking away completely. Disappointing to see Kings Lynn have with held the fireworks. Wow, I am glad we haven't got Ellis guesting for Poole tonight. Not saying it's been bad racing, Somerset have been far better. I'd say the track has broken up far worse than Poole did last week though. Obviously it's not just Poole and Swindon who struggle with preparing a smooth surface. Track like an mx surface now! Track is very bumpy tonight.. Good racing though. Shame about the inconsistent refereeing. Poole v Somerset. Prem B. 13/8/18 BT Sports. Yes it is a shame. He has been brilliant for us otherwise. 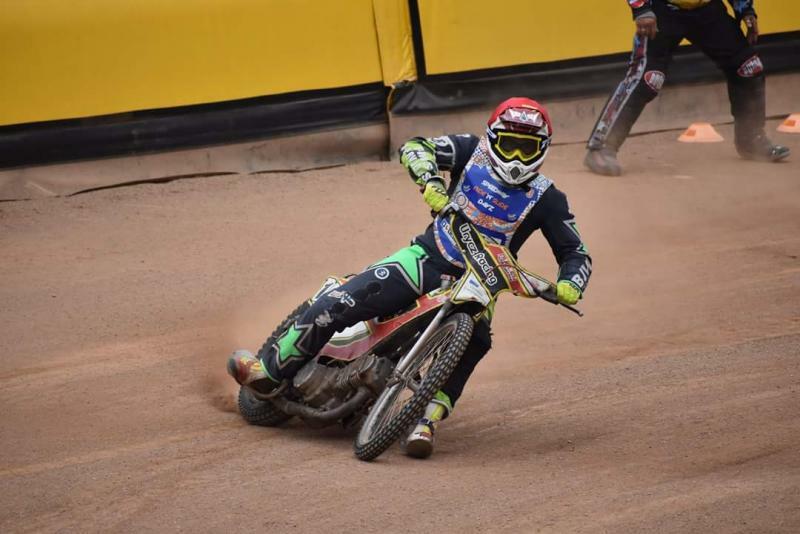 Poole win whilst carrying 2 riders and go top of the league. Happy day's. The track was better during the last few weeks but unfortunately the amount of rain we've had looks like it has affected it somewhat. Jakobsen, kurtz & to an extent woryna letting Poole down tonight. How can kurtz go from being so good to this? !